Epson is planning to unveil seven new 1080p home theater projectors next week at the CEDIA trade show. The flagship model, the ProCinema 61000, will carry a contrast rating of 1,000,000:1 and a brightness rating of 1200 lumens. Most notably, the ProCinema 61000 will have an all new reflective 3LCD light engine. This is a radical new development for Epson, which thus far has based their entire projector product line exclusively on transmissive 3LCD technology. Along with the ProCinema 61000, two new lower priced models will also feature the reflective 3LCD engine—the HomeCinema 21000 and HomeCinema 31000. These models will be rated at 500,000:1 contrast and 1200 lumens. All three of these models will feature powered zoom, focus, powered lens shift, and Lens Memory for 2.4 Cinemascope set ups. These three models are housed in an all new casework design with the lens in center position. More details will be posted here as they become available. Initial shipments are not expected until December, but a pre-production PC61000 will be shown at CEDIA. Pricing is not yet announced, but will be published next week. In addition to the three new reflective light engine models, Epson plans to replace its four popular current home theater models with upgraded editions. The HomeCinema 8100 and 9100 will be replaced with the HomeCinema 8350 and ProCinema 9350 respectively. Noteworthy changes in these models includes a boost in contrast from 30,000:1 to 50,000:1 and a slight increase in brightness from 1800 to 2000 lumens. Initial deliveries are expected by the end of this month. The HomeCinema 8500UB and ProCinema 9500UB will be replaced with the HomeCinema 8700 UB and the ProCinema 9700 UB, respectively. We are still collecting data on these models, but the new versions will retain the 200,000:1 contrast and 1600 lumen brightness rating of their predecessors. More will be posted here as we get it, so stay tuned. This is an exciting time of year in the home theater business. So will the HomeCinema 21000, 31000, 61000 be in a much higher price range or or will the price be parallel because of different tech from the 9350, 8350 etc? This is very exciting. I am anxious to see what the prices will be. I am a little disheartened that there will be no 3D model. 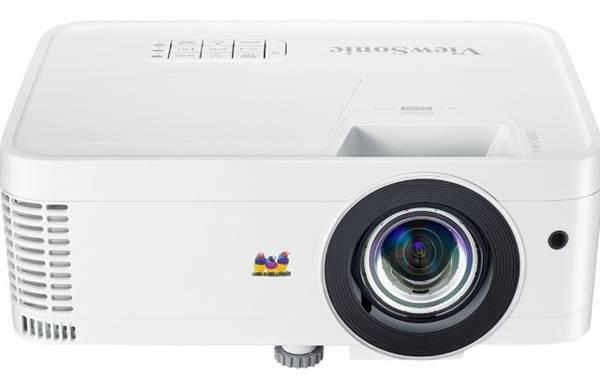 I had planned on upgrading my 1080 (not UB) Home Cinema projector with the 8500 UB, but will wait now for reviews of the 8700, if not too different, I will get the 8500 when it is reduced in price. Where's the Flux Capacitor? As long as they are including mythical features they might as well throw this in. 1,000,000:1 contrast is a joke. Was leaning towards the 8500UB replacement, but if the lumens isn't being bumped up, the "brighter" 8100 replacement is sounding better now. Looking forward the the reviews here soon!! New home theater just completed…now waiting for the new Epson’s/prices/reviews to come out before making my purchase. It’s killing me not having a functional theater right now but hopefully worth the wait. Bring on the new 2010 line up!!! No upgrade till they toss the bulbs! Epson 8500 UB price lowered by $200! Dont you know that it is powered by 1.21 Gigawatts!